Meet James, racing name Knockard James, he’s a very handsome White and black lad who is 31/2 years old. 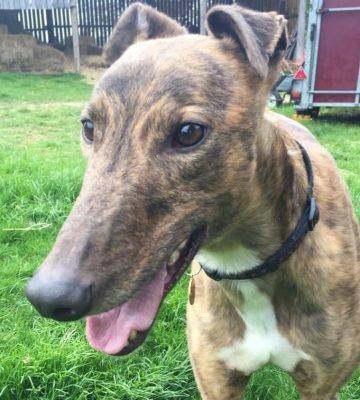 He just loves a fuss and is a very friendly boy who seems to be happy to meet other dogs. With those looks we are sure he will be very popular and won’t have long to wait for a sofa to call his own.